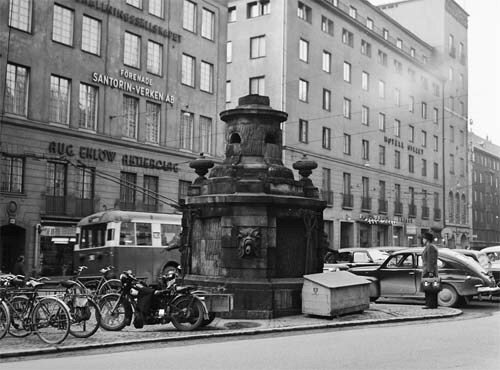 Brunkebergstorg is a square in the Norrmalm neighborhood in the center of Stockholm. 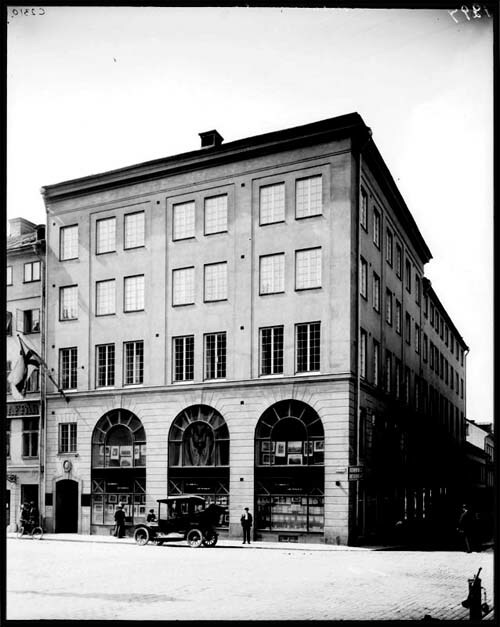 The Brunkebergstorg was in the 1800s the place of fashionable residences, but became in the early 1900s an business area. 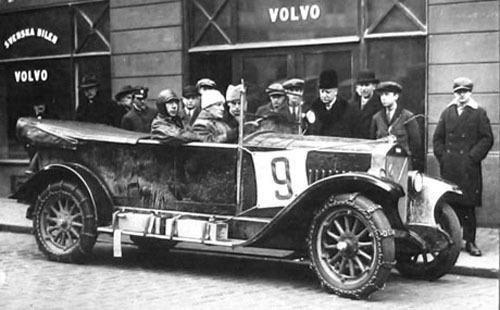 On Brunkebergstorg number 11, Ernst Grauers had one of the first Volvo dealerships (in the world). 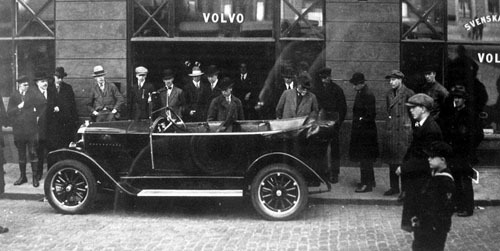 The first picture with the Volvo Öv4 was taken when the first model was shown for the first time to the public in Stockholm. 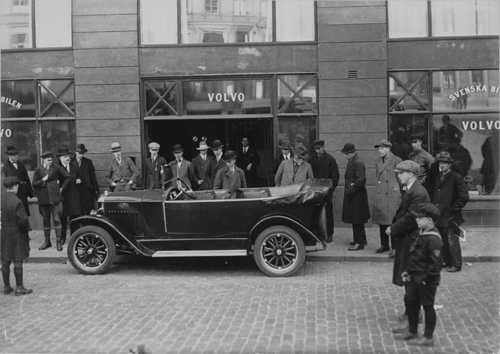 The second picture was taken in the Volvo Museum in Göteborg, where there the setting of the showroom is rebuilt. 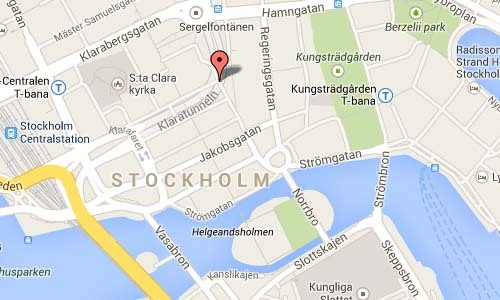 Also from the Ernst Grauers showroom in Stockholm. 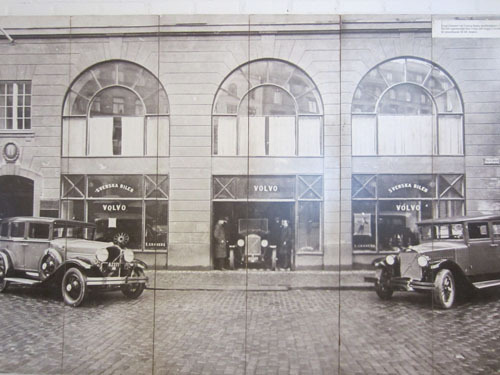 Ernst Grauers Volvo showroom was located on Brunkbergstorg number 11, on the corner with Vattugatan. 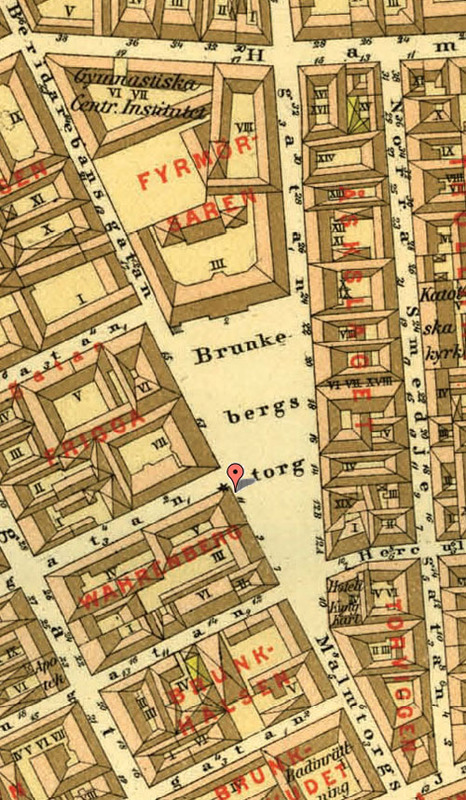 Today, the place where the showroom was, is known under Brunkebergstorg number 5. 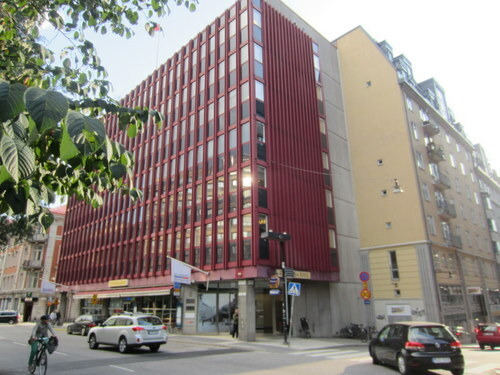 Today on Brunkebergstorg numer 11 is the Riksbanken (Swedish national bank) located. 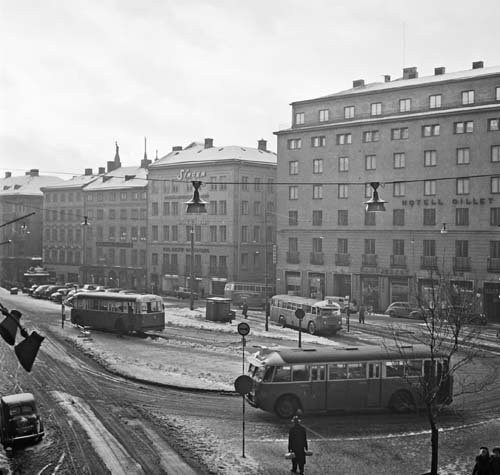 With the large city center redevelopment in the Klara Quarter in the 1960s, and when the Klarberg tunnel was built, many of the old buildings where demolished and replaced by huge and tastless building blocks. 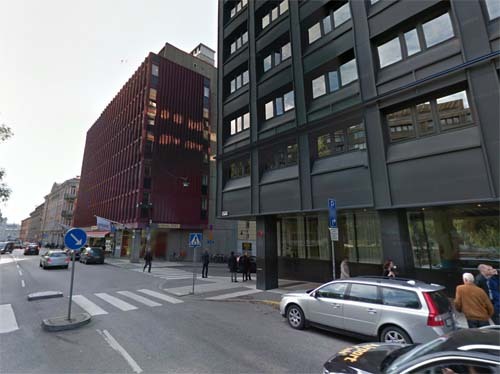 Today the square is dominated by financial institutions such as the Riksbankshuset and Swedbank’s headquarters.